Get NEPRA Jobs 2017 National Electric Power Regulatory Authority Latest here at this page. Applications are invited from the Federal Government Department named as NEPRA National Electric Power Regulatory Authority for the following positions such as (Front Desk Executive, Protocol Assistant (Medical), Control Room Operator). Appointment of these positions will be on contract basis initially for one year which is extendable on satisfactory performance of an individual. Candidates holding valid domicile of any province of Pakistan are eligible to apply for above-mentioned position and recruitment will be done on merit basis. NEPRA is an abbreviation of National Electric Power Regulator Authority and its official site is www.nepra.org.pk, it is dealing with the matters related to generation, transmission and distribution of electric power in all over Pakistan. 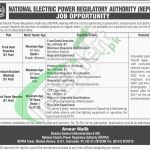 Jobs in NEPRA are Government sector jobs announced very rare and due to this there is much demand for NEPRA Jobs among the job seekers across the Pakistan. Latest NEPRA Jobs 2017 are announced today which can be examined from this page with complete details and eligibility criteria. For Front Desk Executive Bachelors Degree with at least 5 years experience in relevant field. For Protocol Assistant (Medical) Bachelors and Diploma in Nursing Assistant with minimum 5 years experience in relevant field. For Control Room Operator FSc (Pre-Engineering)/Matriculation with 5 years relevant field experience. Applications along with detailed CV, attested copies of educational certificate, experience certificate, CNIC, domicile and two recent photographs should reach the following address given below. Candidates already working Government/Semi-Government sector should apply through proper channel. The last date for submission of application is October 30, 2017. 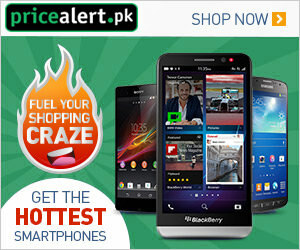 Address: NEPRA, NEPRA Tower, Ataturk Avenue, G-5/1, Islamabad.